We would like to thank all of our Exhibitors and Visitors for their support of the BSC Expo 2019. Please be aware that BSC Expo has some security measures in place at Battersea Evolution. – We strongly recommend you pre-register for BSC Expo and print your badges at home – this is by far the quickest way to gain entry to the event. – All bags larger than handbag or laptop bags must be stored in our cloakrooms – if you do not have to bring larger bags we ask you not to as the cloakrooms do get very busy and you may need to queue. Battersea Evolution is very centrally located; however, parking spaces are limited. Therefore, wherever possible, we encourage all attendees to use public transport. For more details please see below. We would encourage visitors to use public transport as there is limited free car parking at the venue. Whether approaching on foot or by car please use CHELSEA GATE ENTRANCE on A3216. If approaching over Chelsea Bridge turn right immediately once you have crossed the river. From the South turn left just before Chelsea Bridge, shown in this picture. 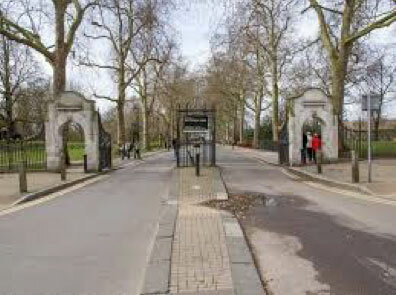 There are a number of public pay and display car parks (free after 5pm) in Battersea Park, the nearest being Chelsea Car Park, which is adjacent to Battersea Evolution and accessible through Chelsea Gate Entrance. Above charges also apply to Rosary Cark Park on South side of the park. Chelsea Bridge Wharf Car Park, 366 Queenstown Road, adjacent to the Pestana Hotel charges are £25 for 24 hrs weekdays and £10 for weekends. BATTERSEA EVOLUTION HAVE A STRICT DROP OFF POLICY – Only black cabs can drop off within the venue. TAXI AND UBER COLLECTIONS – We advise anyone ordering a taxi or uber to arrange for the pick up to be at the bottom of North Carriage Drive within Battersea Park by the mini roundabout. Victoria mainline Station – 1.1 miles. Buses to Battersea Park Station 156 and 344 . BSC Expo run a free shuttle bus from Sloane Square on the open days of the exhibition, starting 15 minutes before show opening and ending 15 minutes after show closing. The pickup and drop off location in Sloane Square is outside The Sloane Square Hotel/Cote Restaurant. For all international visitors travelling from either London Heathrow or London Gatwick. Take the Piccadilly Line from any Heathrow terminal to Earls Court and then change onto the District and Circle Line to Sloane Square. You can then get the free shuttle that runs all day from outside The Sloane Square Hotel. Take the train from London Gatwick to Clapham Junction and then change onto a train to either Battersea Park or Queenstown Road. The venue is about a 10 minute walk from Battersea Park or 15 minute walk from Queenstown Road and the journey should take around 45 minutes total.